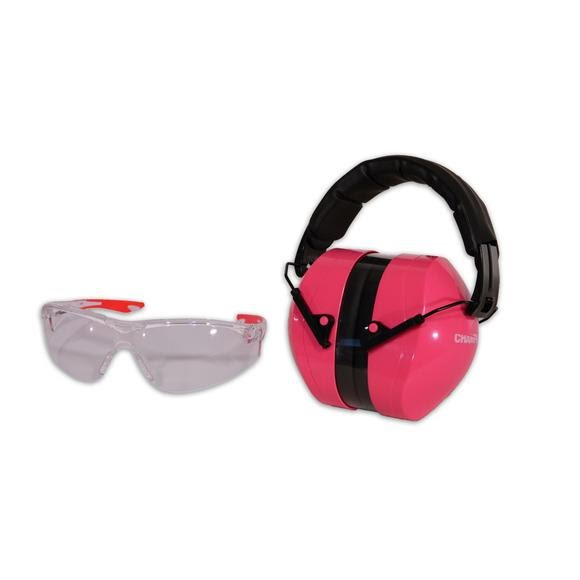 26NRR passive muffs and ballistic rated eye protection in one convenient package from Champion. 26NRR passive muffs and ballistic rated eye protection in one convenient package from Champion . Comfortable molded nose piece and slip resistant temples. Adjustable and collapsible ear muffs for best fit and easy storage. Passive, NRR 26dB noise reduction for superior auditory protection. Scratch resistant one-piece lens with wrap-around eye protection.